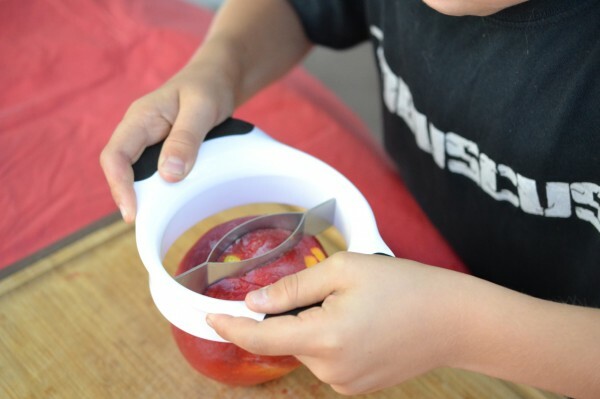 When the good folks at OXO (the consumer product company known for its ingenious kitchen gadgets) gave us an opportunity to try out some of their latest fruit tools, we jumped right in. We knew this might be the best opportunity we’d have to get the kids excited about tackling all of those bushels of fruit in the kitchen. Next we checked out the melon scooper. True, most people would just use a spoon for this task, but it’s a little more fun when you have a special easy-grip tool. Note that you can also use these scoopers to neatly scoop the flesh out of avocados, kiwis, baked potatoes…basically anything with an outer skin that you would otherwise peel off. This product comes in a two-pack with a second scooper that’s good for slightly smaller fruits. We were a little tickled when we first set eyes on this strawberry huller. Can’t you just slice off the top of a strawberry with a knife, or eat around it? Yes, of course. 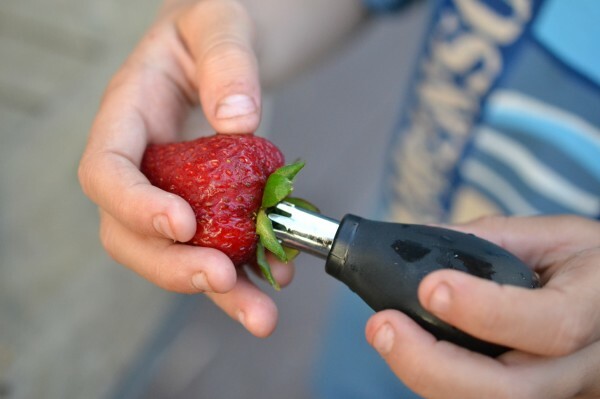 But if you want to prepare neat little ready-to-eat strawberries, and you don’t want to waste a single bite of precious fruit, this huller is fun. You just stick it on top of the green part, twist, and “pop!” Bonus: You get a special sense of satisfaction when the hull comes out in a perfect cylinder. The mango splitter was another new one for us – but it did help us improve our sloppy mango-cutting skills. This chopper sits on top of the mango and you push down on it to isolate the giant pit and separate the fruit into two neat halves. 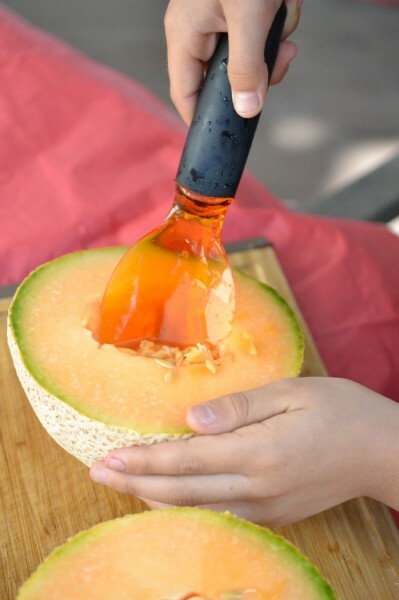 It takes a little bit of extra kid-muscle to push down on it to split the mango, but in general it is easy to use and gets the job done nicely. Bonus: If you are going to prep a large number of mangoes for a summer salad, this will be a HUGE time-saver. 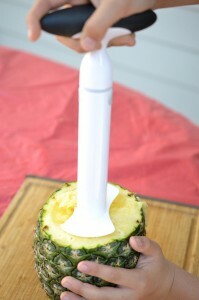 When we took a first look at this pineapple slicer with our kids, our collective thought was, “How in the world…?! 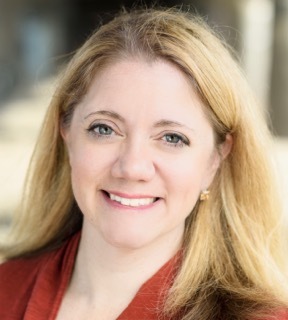 ?” It truly doesn’t look like something that could tackle a fruit as formidable as a pineapple. But the amazing thing was it drilled right through that big ol’ fruit, leaving behind only a simple column of pineapple core in the middle. The basic idea is you press and twist, press and twist, until you spiral through all of the flesh. You end up with a nice little spiral of perfectly cut pineapple. Note that it took quite a bit of kid-muscle to get this one going; even though it’s not sharp or anything, it’s definitely a tool for older kids. After all of that hard work, what did we have to show for it? 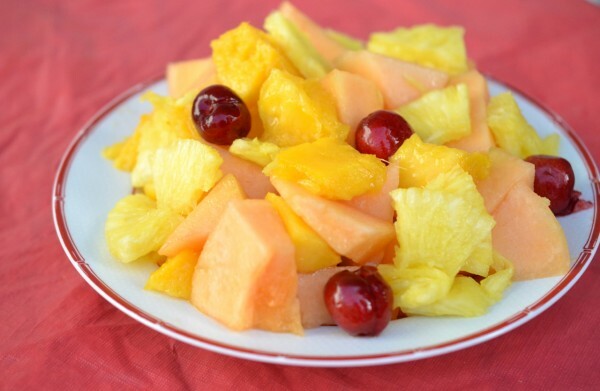 An entirely kid-made fruit salad, of course! Thanks to our kids for being our willing servants, er, helpers for this project. Postscript: What’s a kid to do after a hard day of fruit-slicing? 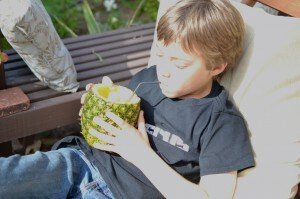 Take a little break with freshly-cored pineapple and sip out the remaining juice with a straw, of course! Thank you to OXO for all of the fun tools and inspiration. 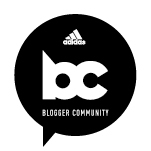 Blogger disclosure: We did not receive compensation for this post. OXO sent us tools for review purposes. This is great! 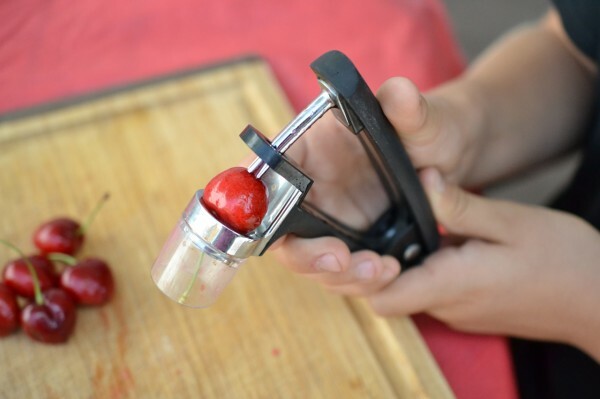 I saw the cherry pitter on Pinterest and thought it was a great idea. I’ve been cutting them in half and pulling them apart to give to Gwen (she’s obviously too young to eat them without choking on the pit), which is a very tedious process when it comes to just a “quick” snack. 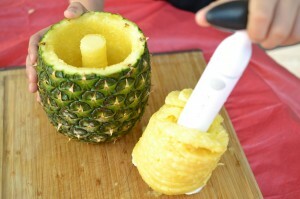 I also love the pineapple slicer! There’s a pineapple sitting on my counter right now begging to be sliced! Nice! And yes, this is definitely the way to go if you are doing a whole bunch!